Hello! Jennifer Larson here today. As always, I have been stitching on my pages, and I thought I'd share a few ways to add stitches yourself to add a little texture. 1. Stitch a word. Using a pencil, lightly write the word on the page. Punch holes in the writing not too close together, between 1/8" and 1/4", and erase the writing and stitch. I use about 2 strands of DMC when stitching on a page. 2. Stitch down the title. Using your sewing machine, stitch about three lines parallel through the top of the title word to "anchor" it to the page. Don't worry about making them end evenly. 3. Stitch journaling lines. Lightly draw lines about 1/4" apart using a ruler. Journal, then stitch the journaling lines with a sewing machine. Don't worry about making the lines perfectly straight. Erase any stray marks. 4. Stitch photo corners. Punch holes about 1/4" apart around the corner of each photo. Don't worry about making them the same size. Backstitch using 2 strands of DMC. 5. Stitch a thin strip of paper. I like using many thin strips of patterned paper on my pages. I also like to machine stitch a line through one of them to anchor it to the page. Try that with thin strips, or stitch a frame around a block of paper on your page. Again, don't worry about stitching it perfectly straight. If it's crooked, it's whimsy. Those are some ideas for adding quick and easy stitches to your pages! I hope that inspires you to try one (or more!) stitching techniques the next time you scrapbook. I love summer. Early morning walks, evening bike rides, eating outside, vacations, staycations, fairs, festivals, farmers markets, outdoor concerts, ice cream, lazy days, a slower pace. That's been our summer so far, so what's not to love? All this fun means we take more photos at this time of year than any other. When I get a pile of summer pictures developed, I want to scrap as many as I can, as quickly as I can. The two-page layout helps me accomplish just that. Some are intimidated by this larger canvas, so today I'm posting a few examples with design tips so your two-page layouts can be just as easy to create as a single page. Tip #1: Take a cue from the photos to create a background. The balloons in the second photo inspired me to layer patterned paper circles over white cardstock. I cut one large circle so that it runs off the top of the page and spills over onto the second page. Then I cut more circles in various sizes and colors to keep things interesting. Circles always bring an energy that keeps your eye moving around the layout. Tip #2: Take a cue from the photos to create embellishments. Our trip to the Copper Harbor lighthouse in Michigan's Upper Peninsula inspired me to use my Silhouette to create custom embellishments that fit the theme of this two-page layout. The lighthouses are arranged in a visual triangle that lead the eye though the title and journaling, then over to the second page. A row of anchors layered on colorful scalloped circles adds interest and ties the two pages together. Tip #3: A little patterned paper can go a long way. On the same trip, we spent a lovely day in Marquette, Michigan. These photos are already very colorful and highly saturated, so I minimized my use of patterned paper. A few strips provide the needed foundation so my photos are not floating on the page. A small cloud punch allows me to introduce a more fluid shape and adds a pop of color at the top of the layout. Tip #4: Horizontal borders tie everything together. When designing a two-page layout, I'm always looking for ways to unify the look, which usually means adding some kind of border across both pages. I created top and bottom borders on this layout with paper strips and stitching. Another border of colorful patterned paper runs through the bottom row of photos. Clustering the rest of the page elements towards the center and leaving generous space gives the layout a clean look. Do you have an abundance of summer photos waiting to be scrapped? Why not make a serious dent in your pile by whipping up some two-page layouts! Hi everyone, Amy here to share one of my favortie things about summer-the beautiful colors that you see. The green grass, blue sky, and gorgeous flowers all around, it just makes me happy. 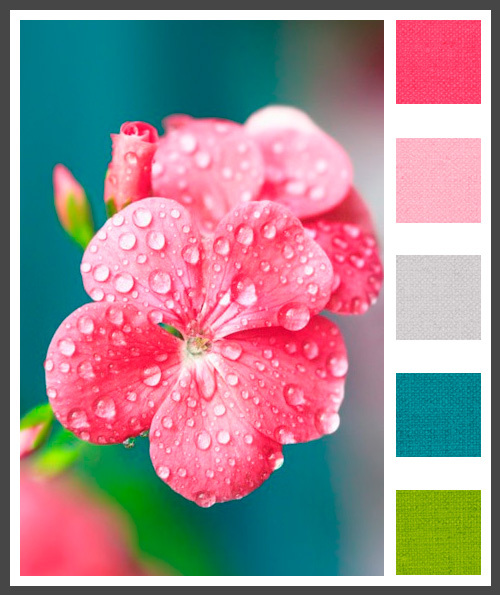 I went searching for a summer color pallette and found one that I loved. Thanks for stopping by the blog, and I hope these summer colors have inspired you to use those bright summer colors! As April draws to a close, we are going to take a moment to look back through our amazing April gallery, Selfies, for one last chance to pick up some journaling, photography, and design ideas. Ready? Shall we go together? 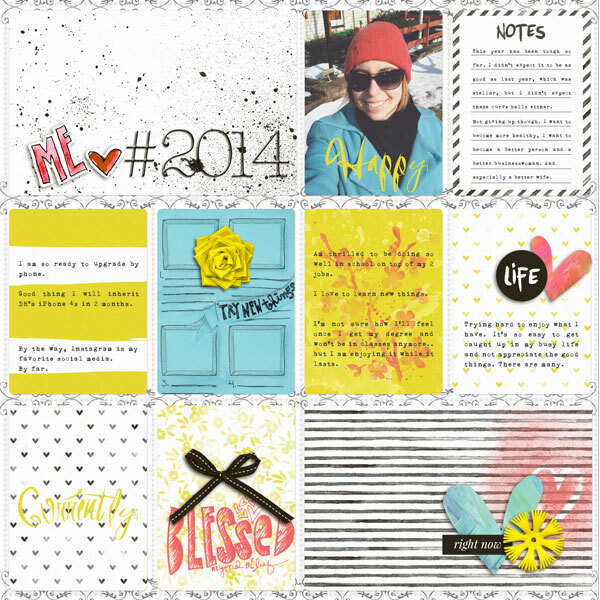 We thought these five layouts had wonderful ideas for journaling our own lives. Some give us good strategies for our writing, some give us good ideas. All are helpful to recording bits and pieces of our lives. Let's look. Tried and true and never out of style, list making is a wonderful way of catching snapshots of our current lives. You can use them as bullet points as Lisa did, or use them as starting points for a much more in depth story. This is such a FANTASTIC idea for a layout. And using a patterned page like this helps eliminate the daunting side as it makes your confessions just snippets of thoughts and happenings, rather than making you feel like you are at the police station having to write down the whole story! Jenny, thank you for a truly clever idea! Do you sometimes shy away from journaling because you are afraid to write? 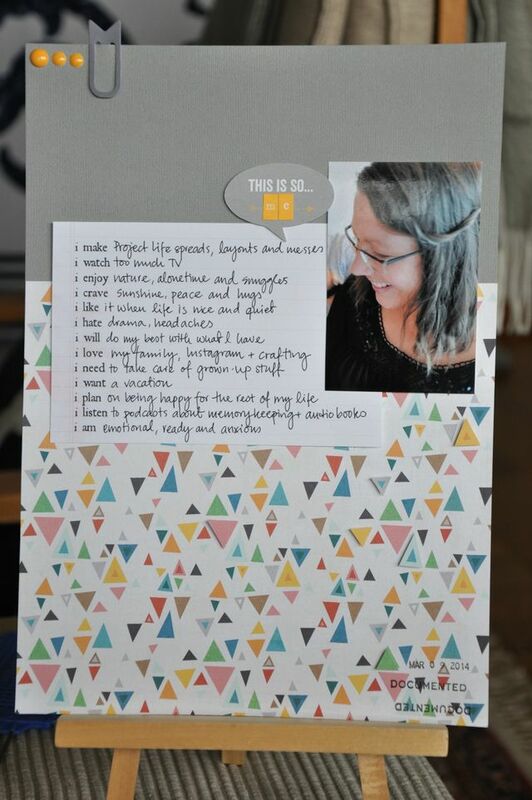 Kate's layouts reminds us that a few descriptors can be a very effective means of journaling. 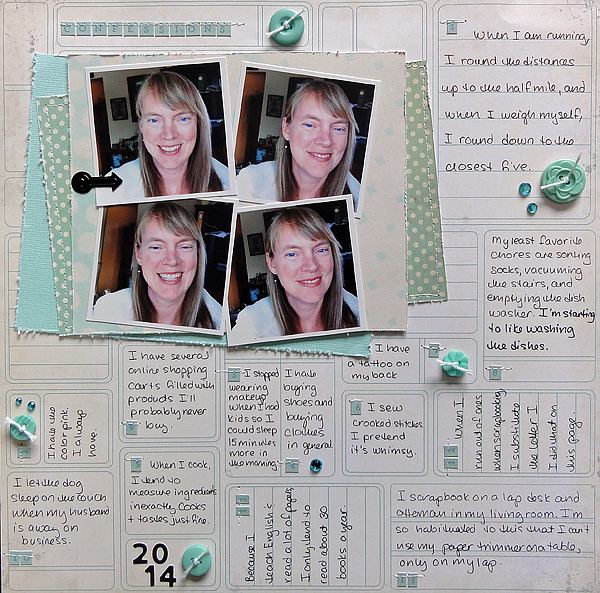 Amy's random list is another successful means of collecting details that might otherwise go unstated in your scrapbooks. Having the number coincide with your age helps give you a parameter but it would be just as easy to pick 25 or 100. Another helpful measure if you choose this route for your journaling is to set a time limit on each one (or on the whole) so that you just go with what comes to mind and don't get too caught up in the process. Many of us have documented our movies and music, but until now, have you thought to document your tech? or your feelings about it? So much of what we do now revolves around it, especially if you are a a techhead. Thank you, Cristina, for the reminder to capture that side of ourselves as well! As you look through these next few layouts, notice the awesome ideas for getting some shots of ourselves. This photo reminds us to capture the regular moments of our lives. Here Aliza was scrapbooking on vacation. But it could have just as easily been at home. Set up the tripod or ask someone to capture you scrapbooking. It is a huge part of our lives. And what fun to see your process in front of you? Great idea, Aliza! Remember how awkward it used to be to ask someone to take a photo of you and your special girlfriends when you were out on a girls night? Remember how now in the time of camera phones, no one thinks twice about taking one themselves or asking someone to do it for you? No more, here is my big camera that will scare off any passerby. No more here is the button you push. Nope. Now just hand over your phone. Everyone knows where the buttons are. Everyone knows what to do. It's awesome!! We love how Christine took one photo and added different filters and washes to create three different looks. And while at first you might think that it is still just the one photo, upon looking closely, you will see that the different effects create different images. One is happy and sunny. One is reality. And the other is artsy and contrasty. The filters you pick tell a little about yourself and help add to the story. A quiet and cool hidden bit of the story. How much time do you spend in the car? Let us count the hours. These photos are priceless. Such a wonderful way to capture a slice of life and to tell the story of a busy mom. Sometimes in the passenger seat with a whole family behind her. Sometimes in the driver's seat with a tiny in a carseat. But always surrounded by love. It makes you want to hurry to your car and take similar photos, right? This is the perfect photo challenge, summarized in one layout. Take your camera (phone or otherwise) and for one week (or a day) capture all those things around you that you love. Or be more precise. 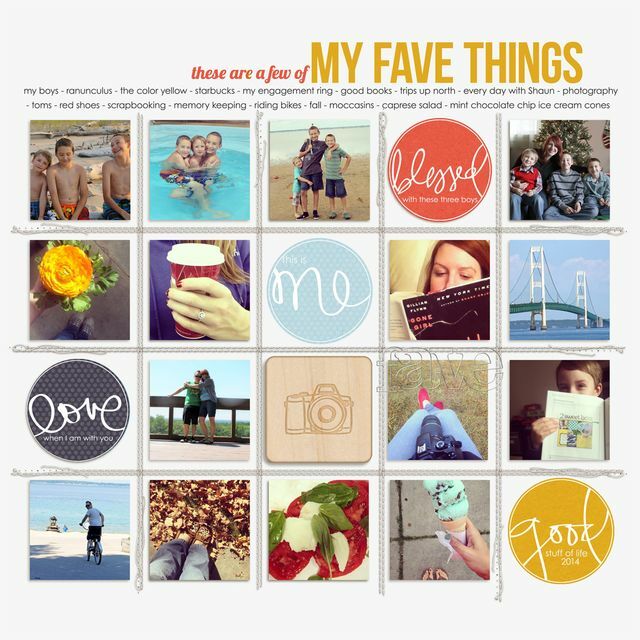 Photograph !% things you love. 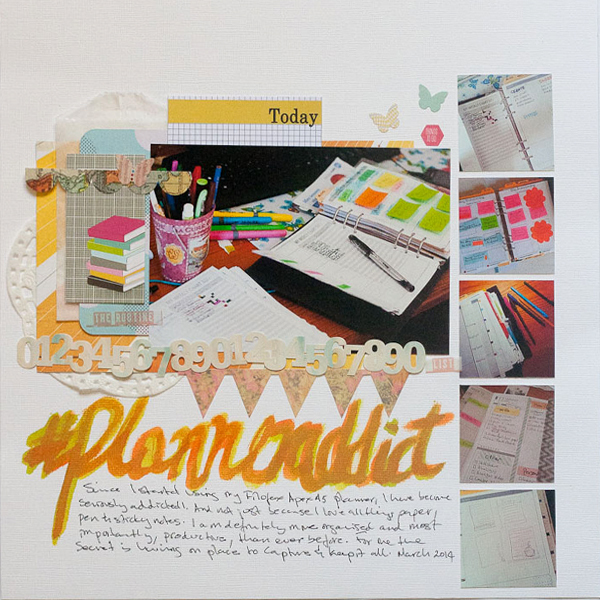 And then use the sketch from last week to recreate Jennifer's layout so you can showcase your favorite things. It's like a tiny little pinboard. And who doesn't love pinterest? It pinterest for your own life! And last, but not least, we selected these six layouts for the design tips they inherently offered. Get your pencil out, you are going to want to make a list of these! All the rage right now is writing with a paintbrush. It isn't as easy as you might think, but it is a lovely way to be artistic, have fun, and brighten up a page with the perfect color of title. And just like most things in life, practice makes perfect! Sue's pages are such studies in balance. She truly is a master. Though, today, we are focusing in on another well done technique. Look how she created a polaroid overlay that is sitting vertically on her horizontal photo, thereby "cropping" out the superfluous and drawing your eye in to the important part of the photo. Then she smartly layered other bits and baubles around and under her photo providing depth and texture to the photo. It was so well done, we bet some of you didn't even see the rest of the photo peeking out the sides. (It's okay, we missed it the first time, too!) Isn't it magical? Purposeful magic makes for wonderful pages. Amazing! We are going to look to four specific things that Diane does to make this layout sing. First, to balance ALL that color, there are two wide expanses of white space. And bit of blacks for grounding. This layout would have been frenetic chaos without these two things. Next, while Diane uses all five rainbow colors, she doesn't use shades of each as well, thereby maintaining the actual number of colors to 5. Third, the hearts, while plentiful, are small and repeating. Think of her having spilled a colorful button jar along the middle band. While lots of sizes, really only two shapes (hearts and circles) which again created controlled chaos. Lastly, Diane switched her photo to black and white (and a very blown out black and white) which eliminate any competition between the colors in the photo and the colors in the layout. You may want to rebuild this layout, but go against any of these four techniques, to better understand how smart they are for helping keep a neat and tidy layout. Diane, you get a gold star for this one! 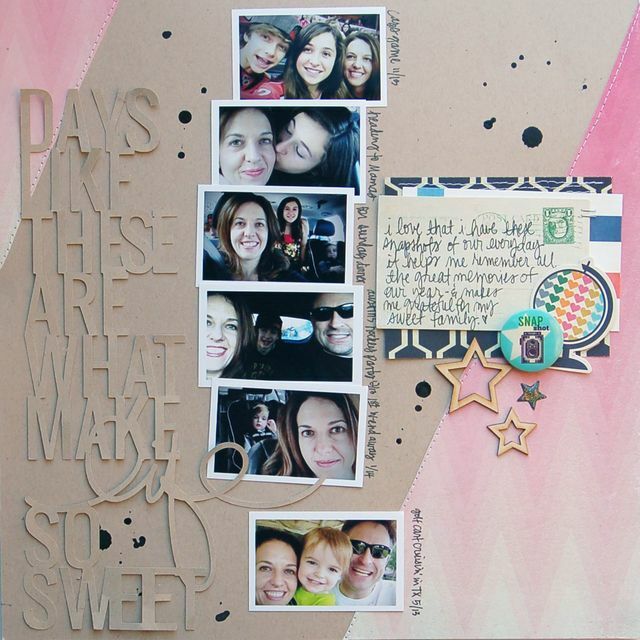 This layout is in our scrapbook section as we were completely beguiled by the diagonal cut on Amy's photo. Brilliant! Do you see the subtle arrow drawn below the title? Built bu the box, the two triangles comprising the square, and the two triangles placed to create the arrowhead? Then look to the left and down a little and you will see that there is another arrowhead facing left. And then the circle with the dangling key in the center brings your eye in and holds the balance perfectly. This layout is art. Truly a mini masterpiece. Brava! Amy, you are amazing! Jina does color washes unlike any other. And she is SOO good at the little details. The stamped feather blowing in the breezy clouds. The stitching in the clouds for added texture. The loose threads hanging off the end provide movement and help you feel the breeze you see in the photo. The droplets of water on the patterned paper that reinforce the water in the photo. The repeated bits of loveliness in the pink scattered here and there. The addition of the little yellow bow to the flower in the top left hand corner repeats the color of the journaling strip by the photo adding cohesion. Do you see how all the random bits are anything but random? Going digital gives you the freedom to play with hues. Liking making all the blues in your papers a tiny bit more green to make you eyes stand out? Or making things a little bit lighter here and a little bit darker there to better tie them together. If you are digital, don't be afraid to play with the depth or shade of the colors in your kits so that you can create the perfect hue for your layout. Thank you, for stopping by and for being a part of our write. click. scrapbook. reading family! We love having you and hope that you have enjoyed our look back through our gallery! Only four more days til a new one! Hi everyone, it's Amy here with you this week on the blog. This week's theme was an idea that one of my very talented WCS teammates came up with, so let's all thank Stephanie Bryan for the great idea! This week is all about the number of photos, and we're starting out today with single photo layouts. There are times where you have an amazing photo that you want to highlight, and I just love all the creative space that you are given when you only have one photo. Here are a few of my favorite single photo layouts. Sue sent along this amazing single photo layout. 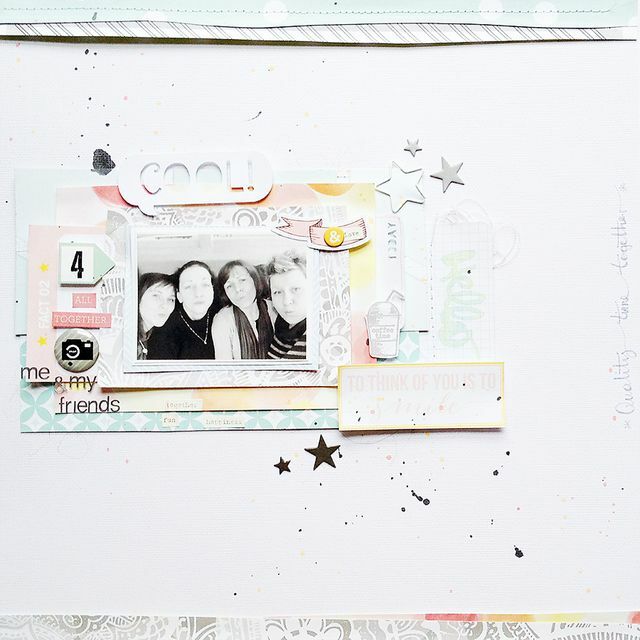 I love this layout from Laura, she does such a great job using a large photo. Then this one with all the white space, LOVE! 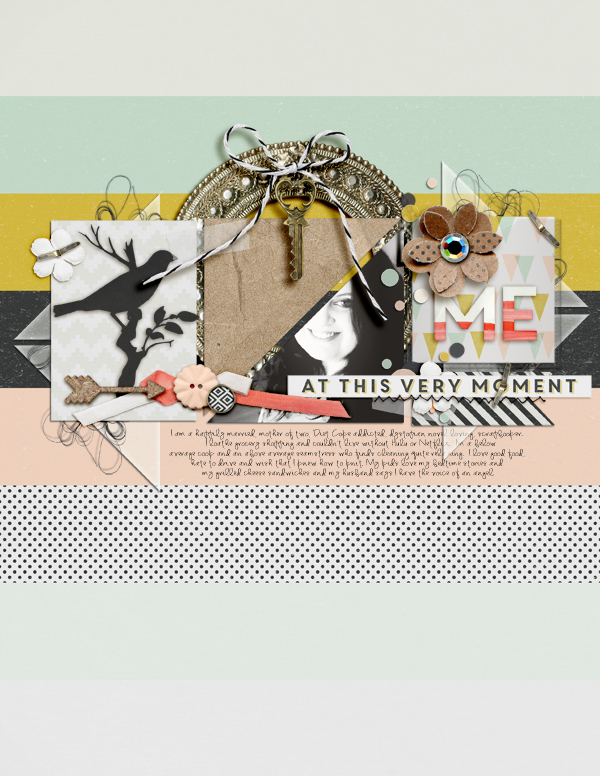 Jennifer created this fabulous layout using a large photo, too. Diane also sent over some amazing single photo layouts. 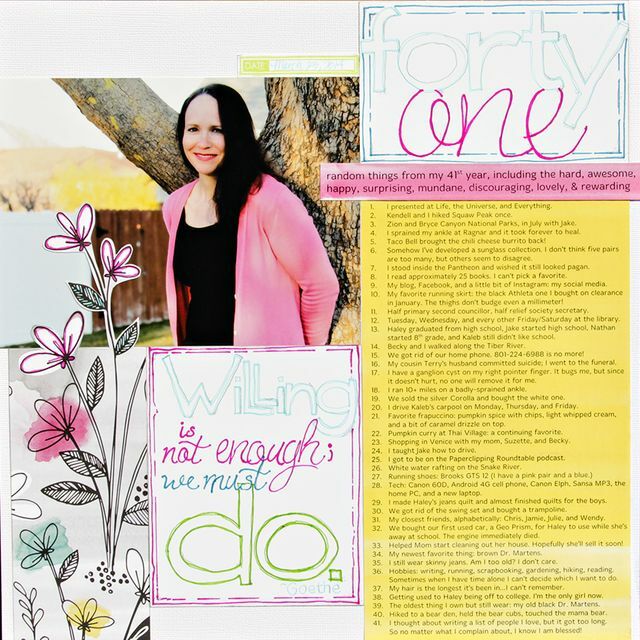 I love the design of this page Diane created. 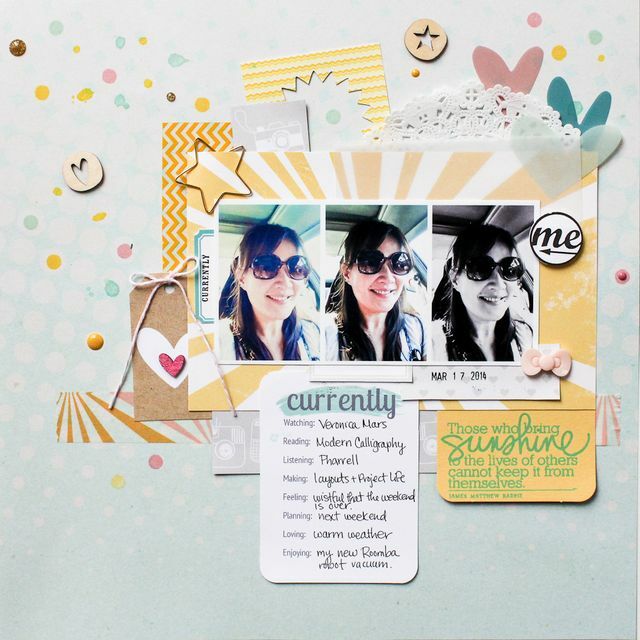 Lisa created some adorable single photo layouts as well. Now that's some amazing inspiration, isn't it? I also have a giveaway for this week. 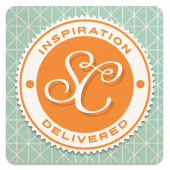 Paper Camellia, one of my favorite monthly kit clubs, has generously offered this amazing giveaway for you this week. All you have to do is leave a comment here with your email address on this post by Thursday, April 3rd, and you will be entered to win. I am excited about sharing this week with you! Make sure to stop by tomorrow for our April gallery, it's going to be amazing. Do we have any needleworkers amongst us? I learned embroidery around age 11, but quickly dismissed it as one of those things I just didn't have patience for. After getting back into the crafty world as an adult though, I picked it back up, mainly to use in scrapbooking. Using cross-stitch and embroidery, you can create some unique and customized page accents, and even backgrounds. Let's take a look at some examples. And here's another to continue the love theme with two sets of XOXOs. I've always thought cross-stitching was too finicky for me to try, but Diane and Lisa are making me reconsider that opinion! Plus I found a couple of tutorials that could really help. This one will help you make a heart tag on paper. It's in Italian, but there's a video to follow along with. If you're not up to using a needle and thread, maybe a little faux stitching might be your thing? You can make a cross-stitch stamp to mimic the look of stitching on your projects. Or you can use it to stamp out a design to use as a guide for the actual stitching. It looks fantastic, doesn't it? I printed out the card with the heart accent, then stitched over it. If you don't want to do the actual stitching, you can buy pre-stitched embellishments like this tag from Amy Tangerine. Finally, for more inspiration check out this Stitch on Paper Pinterest board. I hoped this sparked some ideas for you! Tomorrow we'll take a look at crochet and knitting on our pages. 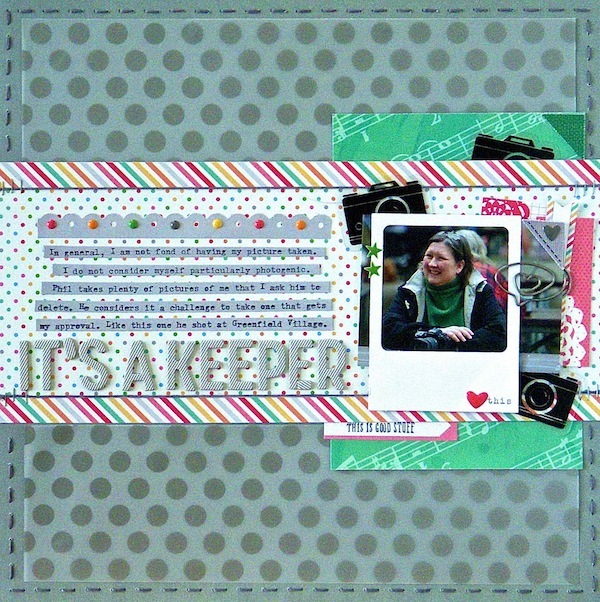 Jennifer Larson again, trying to keep warm by using some warm scrapbooking products. And here's one I misted as well. Diane did something similar on these two pages. Look at how varied it looks in each page! And Diane added a pocket--an actual pocket!--that houses a mini album. Cute! Thank you again for checking out these warm products! I hope oday gave you some toasty product inspiration; tomorrow we visit some toasty subjects to scrapbook!